An apparatus for lifting and moving a person comprises a mobile base assembly and a lift assembly moveably mounted on the base assembly permitting the lift assembly to move upwardly and downwardly relative to the base assembly. 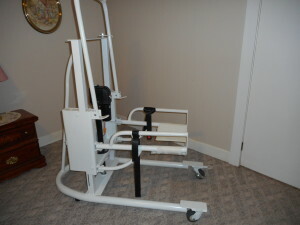 The lift assembly includes a frame member moveably engaging the base assembly. A first support arm of a butterfly seat is rotatably attached to the frame member for rotation about an upwardly extending axis. 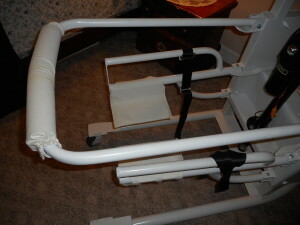 A second support arm of the butterfly seat is rotatably attached to the frame member laterally spaced from the first support arm for rotation about an upwardly extending axis. The first and second support arms include weight bearing platforms adjacent the free distal ends of the support arms. The first and second support arms are movable between a first position where the weight bearing platforms are close enough for supporting a person and a second position where the first support arm and the second support arm are spaced sufficiently from each other to receive a person between the weight bearing platforms. 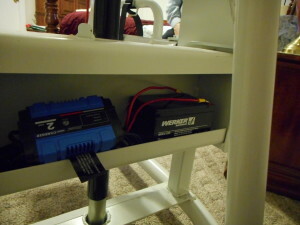 A powered lift is provided for moving the lift assembly upwardly and downwardly relative to the base assembly. 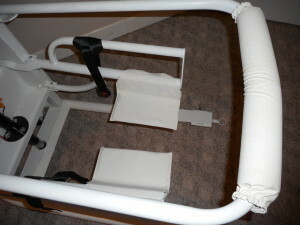 the Butterfly Seat Lift enables a caregiver to lift a patient safely and transport them to the restroom where they can be left alone while using the toilet. It also allows a patient the ability to be in the family room or kitchen instead of being confined to the bed as long as they can sit up by themselves. Even a small woman can lift a large patient without help and with almost no chance of dropping or injuring the patient or themselves. This will prevent thousands of injuries to both patients and caregivers in hospitals, nursing homes and home care situations thereby saving millions of dollars in insurance claims each year. 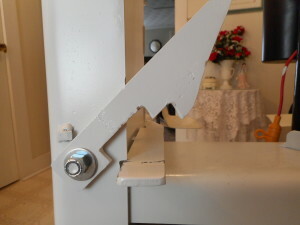 We have a website that goes into much greater detail and provides pictures as well as a link to a video of the operation of the patient lift along with all the safety features. You can find it at Link Thank You. This patent is available for direct sale or will consider a percentage of units sold. 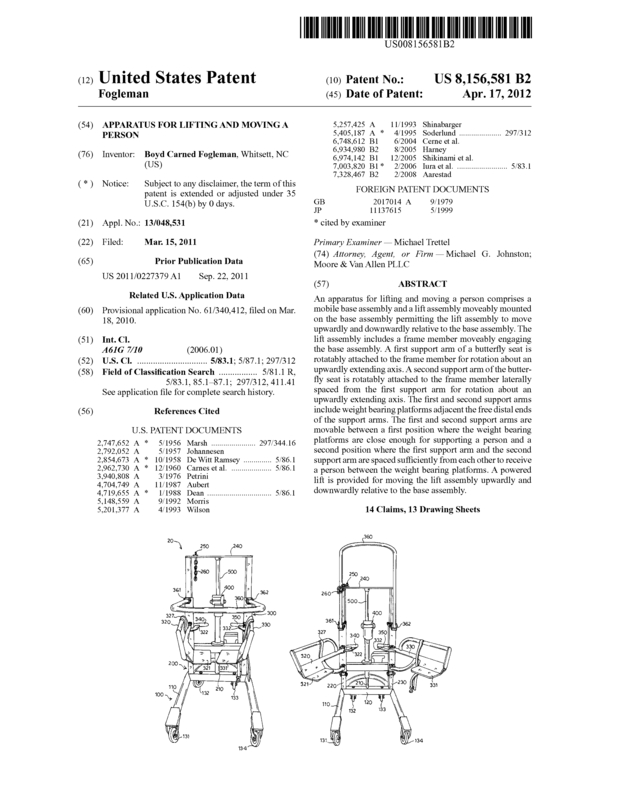 Page created at 2019-04-25 14:37:56, Patent Auction Time.